A blown out or flat tire is not a pleasant experience; especially on the highway. Depending on the traffic conditions, it can be difficult to perform such task if you are unable to move the car to safety. 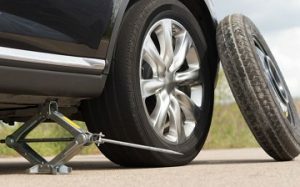 We can provide professional, safe and affordable flat tire changes. If you have a good spare we can help you install or inflate it if needed. After replacing your tire, we will check to see if the rest of the tires are in good condition before you set off on the road. A dead car battery may be a simple mechanical problem and a jump start can fix it. We can quickly dispatch a certified, experienced technician who has top of the line equipment and expert knowledge to help with dead batteries for your car. If you do not have the knowledge or experience needed to safely jump start a car battery, you should not try it. There is a risk of electrical shock or eye damage from sparks if it is done incorrectly. Rather than taking the risk of damaging your vehicle, why not engage our service instead. We use appropriate tools, cables, and equipment to perform jump start on your vehicle. Furthermore, we are professionals in getting drivers back to their car and on to the road. Don’t let your frustration get the better of you, a quick call to us and our technician will be with you in no time to relieve your problem. Your car is running out of gas in the middle of the road, with no gas stations around nearby. We can help you deal with this problem. 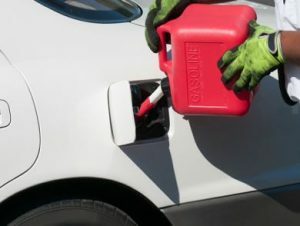 Our crew can deliver gas to your location and refuel your car. We charge our services with reasonable and affordable prices. Our friendly and experienced crew will help you get back on your way fast. Getting locked outside your own vehicle can be embarrassing. Sometimes the auto locking system may have locked you out. You also might have your keys lost or stolen. 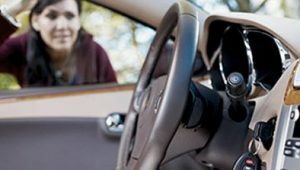 Not to worry, our technician and professional locksmith will be able to regain entry to your car. We will not damage the car or tamper with the security system. You can rely on us to get back on the road. Winch-out towing services is one of the more complicated towing services that one might need. You may need to recover a vehicle out of the ditch, or you may have vehicle stuck in water or mud. 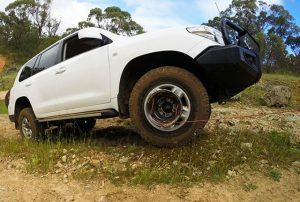 We have the winch-out equipment to safely pull your vehicle out of a ditch, mud or water and get you up and running quickly. We provide safe and reliable tow and recovery, specializing in winch out service. If your vehicle is damaged, we will tow you to the garage or mechanic of your choice. Our crew will always provide quick and courteous service.